High costs can make gender confirmation surgeries seem out of reach. Here are options for financing the procedures. While many Americans set aside money for dream vacations and shiny new cars, Brandon L. Beck, a 39-year-old transgender man, saves for his own dream: a $72,500 surgery that will help him feel like his body finally matches his gender. 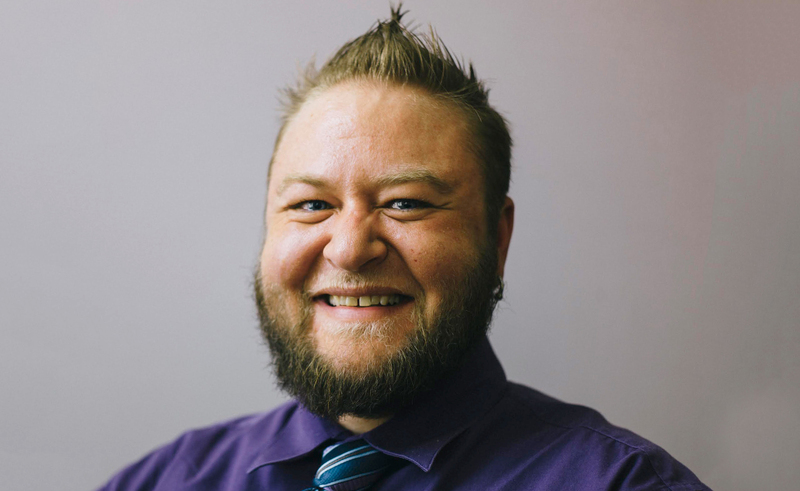 After a lifetime of struggling with gender identity, Beck, a community educator in San Marcos, Texas, began transitioning in his early thirties. He quickly learned that the process not only requires tremendous fortitude, but also large sums of money. Beck has had some help covering transition costs, which can vary in price depending on the surgery and the doctor. His parents surprised him one Christmas by paying for a $7,000 double mastectomy. When a total hysterectomy became medically necessary due to his testosterone treatments, he was a professor at a university, where health insurance covered 80% of the $35,000 operation. He repaid the rest of the bill over a year using a hospital financial aid package. There are people in our community who don’t have enough money to pay rent each month and are still thinking about this. Beck isn’t alone in his struggle to pay for gender confirmation surgeries, which cost thousands of dollars but can play an invaluable role in the quality of life for transgender people. The feeling of being born with the wrong gender can create significant stress, anxiety and depression, says Dr. Christine McGinn, a transgender woman and surgeon who runs Papillon Gender Wellness Center in New Hope, Pennsylvania. And studies show that treatments such as medications and surgeries can significantly improve the life of a transgender person, she says. “If we’re able to save lives, it’s a medical necessity,” McGinn says. But the surgical costs can be a major hardship for transgender people; McGinn says she’s seen patients sell their homes to pay for procedures. People attend the San Francisco launch of Transform California, a transgender rights campaign, in May 2016. This guide was created to help transgender people, their families and advocates plan a path to financing transition surgeries. It includes resources to help cover surgical costs, whether it’s a gender confirmation surgery or other medical procedures that aren’t covered by insurance. Though Beck believes that surgery is not what makes someone a man or a woman, he says he’ll feel more comfortable after his final surgery, a $72,500 phalloplasty. But Beck, who recently left his position as a university professor to become an independent community educator on transgender issues, no longer has employer-based health insurance. To finance the surgery, he started a GoFundMe crowdfunding campaign to cover some costs, saves money each month and applies for grants from organizations that provide monetary gifts to people for transgender surgeries. Transition can take various forms for the nation’s estimated 1.4 million transgender people. Some people adjust their basic appearance and get legal name and gender changes on driver’s licenses, birth certificates and other official documents. Others seek hormone therapy, which effects significant physical and psychological changes. If we’re able to save lives, it’s a medical necessity. Some pursue surgeries. One-fourth of the nearly 28,000 people polled in the 2015 U.S. Transgender Survey had completed at least one transition-related surgery. These surgeries may include procedures such as facial feminization for transgender women and breast removal for transgender men, which can add up to $50,000 or more depending on the doctor and number of procedures, according to the Philadelphia Center for Transgender Surgery. A health insurance plan with transition-related coverage can make gender confirmation surgeries more affordable. Nearly 650 U.S. employers offer health insurance plans with no transgender exclusions, according to the Human Rights Campaign’s 2017 Corporate Equality Index. Some individual health insurance plans also offer coverage. Medicare and Medicaid may pay for some transition costs, but coverage varies. While laws and policies in some states are trending toward more coverage, not all private insurers cover transition costs. Other insurers handle surgeries for transgender people on a case-by-case basis, sometimes requiring letters from doctors. One-fourth of transgender people polled in the 2015 survey reported that they experienced insurance problems, including denial of transition-related coverage. If you have health insurance, talk to your benefits coordinator or call customer service to find out if transition-related health care is covered. A speaker addresses the crowd at the San Francisco launch of Transform California in May 2016. Out-of-pocket costs for surgeries can be especially daunting for transgender people, who often experience financial instability due to factors like employment and housing discrimination. According to the national survey, nearly 29% of the 28,000 polled said they were living in poverty, compared with 14% of the wider U.S. population, and almost a third had experienced homelessness at some point in their life. Transgender people in the poll also reported lower personal and household incomes than the general population, and an unemployment rate three times higher than the national rate in 2015. These financial struggles may result in lower credit scores, making it harder to obtain traditional financing options like loans or credit cards. If you’re a transgender person planning for surgery but facing steep bills with or without insurance, there may be ways to pay, depending on your credit score and income. Saving up and paying some costs out of pocket is ideal. But if that’s not possible, the list below examines ways to pay that are most attainable by those with a steady income and strong credit and other methods, which could be an option for those without financial stability. Many of these financing options also apply to people struggling to cover costs for any medical procedure. Here are a variety of options to pay for surgery. Some big banks no longer offer unsecured personal loans, a fixed-rate installment loan with terms set depending on the borrower’s credit score and history. But most credit unions still offer this kind of loan, often with interest rates starting as low as 7%. A wide variety of terms — the time to repay the loan — typically are available. In most cases, borrowers apply for a generic personal loan, but some credit unions offer loans for medical purposes. 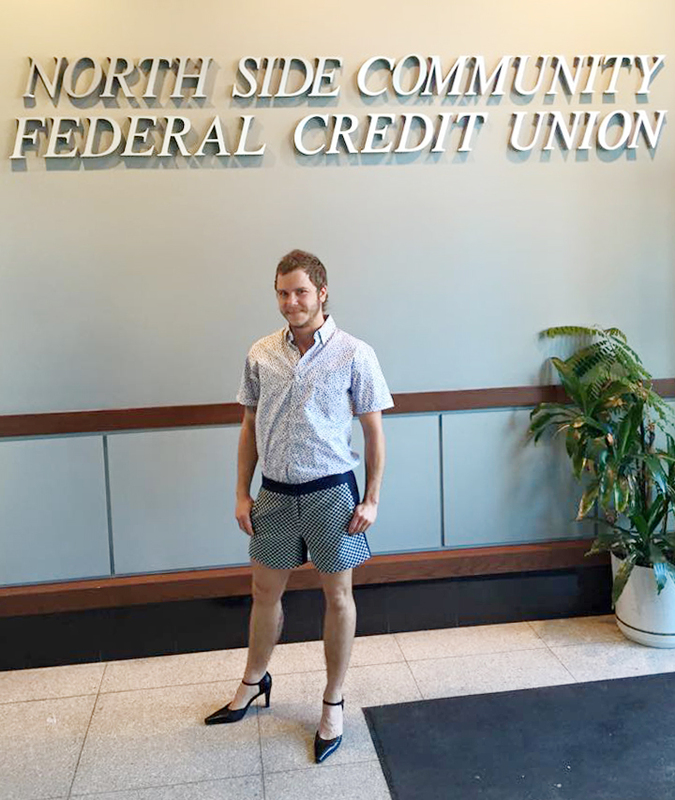 In Chicago, the North Side Community Federal Credit Union goes a step further by offering loans geared toward “both trans and queer folks,” says Lee Dewey, the credit union’s accounting manager and a gender nonconforming person who created the products. Dewey says the loans, which range from $500 to $10,000 with interest rates from 10-18%, can be used for variety of costs, including to pay for surgeries, travel or expenses related to surgery, vocal lessons, laser hair removal or buying a new wardrobe. Fixed monthly payments, with low interest rates if a borrower qualifies. The loan amounts may not cover the full cost of surgery. Borrowers must qualify for credit union membership, which usually means living, working or worshipping in a specific area or having a certain employer. Borrowers may have to pay an application fee. Other than membership, borrowers must have a credit history and score. Credit cards are typically used for smaller purchases, since credit limits can be low and interest rates are often steep, says Steve Branton, a financial planner at Mosaic Financial Partners Inc. in San Francisco. Plus, if you use more than 30% of your available credit, meaning you carry a high balance, you can damage your credit. Branton says credit cards are one of the worst ways to finance surgery. There are situations in which using a credit card may work, Branton says — for example, if you need to finance a few thousand dollars or less that a loan won’t cover, or the card has an interest-free introductory period and you can pay it off quickly. A few cards have zero-interest introductory periods as long as 21 months. If you use a rewards card, you’ll earn points. Interest rates can vary widely. Your credit limit may not be high enough to fully cover surgery, and even if it is, carrying a high balance can hurt your credit. Some credit unions offer cards with ongoing annual percentage rates under 10%. Interest rates for big issuers can run anywhere from 11% to 24%, depending on your credit score. Some cards also have annual fees. You usually need a steady income and fair credit — typically a credit score of at least 630 — to qualify for a basic unsecured credit card. Transgender people in the U.S. have a lower homeownership rate than the general population: 16% reported owning a home, compared with 63% of the general U.S. population, according to the 2015 survey. Those who do own a home could pay for surgery costs with a home equity line of credit, Branton says. A HELOC — also known as a second mortgage — allows you to borrow against your home, sometimes up to 85% of its appraised value. It’s a form of revolving credit, meaning you can borrow and repay the funds as often as needed during the term, called the draw period. You take advantage of the value that your home has gained over time, and the interest may be tax-deductible. You can repay the amount borrowed and borrow money again. As secured debt, interest rates may be lower than with an unsecured loan; highly qualified borrowers may find APRs as low as 3-4%. Your home serves as collateral, so if you can’t make your payments, you could lose your house. Interest rates are usually variable, so monthly payments could fluctuate over time, though there are typically rate caps. Depending on the lender, there may be application and appraisal fees, which can add up to hundreds of dollars on top of interest. You must own a home and have some equity in it. Income, debts and creditworthiness are also considered by lenders to determine eligibility. CareCredit is a credit card for financing health care expenses, and it can be used for future medical purchases. Your doctor must sign up with CareCredit to accept the card (over 200,000 health care providers accept it), and you can apply for it through your doctor’s office or online. The credit limit is based on need, credit history and ability to pay. At 26.99%, the APR is on the high side, but health care providers may offer promotional financing options through CareCredit that could make it more affordable. For example, some charge no interest if the balance is paid in full within 12 months; but if you miss a monthly payment or don’t pay the balance in full by the deadline, you’ll be responsible for paying all of the interest retroactively. If you can get a no-interest promotional financing option and pay it off in full on time, you can avoid paying any interest. Not all providers accept CareCredit, and not all who do offer promotional financing options. Failure to pay off the full balance before the promotional rate ends means you’ll owe all interest retroactively from the start of the transaction, so this might not be a good option for someone with unstable income. APRs from 0% to 26.99%. Income and credit history are considered in the application process, and applicants with subprime credit scores — typically considered those under 630 — may be approved with more modest credit lines, according to a CareCredit media representative. People attend the Transform California #FreeOurselves Youth Leadership Panel in San Diego in October 2016. Online lenders including Prosper and Lending Club offer personal installment loans with fixed interest rates and monthly payments. Online loans may be easier to qualify for than personal loans through traditional financial institutions. You can apply online, although Prosper also offers medical loans through participating doctors (the terms are the same, but the doctor’s office is the borrower’s point of contact rather than Prosper). Some online lenders are connected with banks, such as LightStream, an arm of SunTrust Bank. Those with excellent credit can get low interest rates. Terms and amounts vary by lender. For example, Prosper offers loans from $2,000 to $35,000 for three years or five years, with APRs ranging from 5.99% to 36%. LightStream offers medical loans from $5,000 to $100,000, with terms from 24 to 84 months and APRs from 5.99% to 15.59%. Application is online, and loans are usually funded faster than through banks or credit unions. Loans are generally offered in amounts that fully cover expensive surgeries. You can pre-qualify for a loan online and learn your estimated rate and fixed monthly payment with a soft credit check, which doesn’t affect your credit score (financial institutions typically require hard credit checks, which may ding your score for a time). If your credit isn’t in great shape, you’ll pay a hefty interest rate. The average interest rate for those with credit scores below 630 is 28.64%, according to NerdWallet’s 2016 lender survey. LightStream doesn’t charge fees, but lenders like Prosper and Lending Club often charge late fees, plus origination fees — a percentage-based fee to process your application that depends on your credit. For example, Lending Club charges origination fees ranging from 1% to 6%, and Prosper’s range from 1-5%, so read the terms carefully and compare APRs. This can vary by lender, but most borrowers need a strong credit profile. Prosper, for example, states that it looks for borrowers with a credit score of at least 640, fewer than seven credit bureau inquiries in the past six months, a debt to income ratio below 50% and no bankruptcy filing within the past 12 months. A loan from a relative may be your most affordable and lowest-risk option, Branton says, since relatives may choose to charge a low interest rate or make a gift of the interest. If you go this route, Branton suggests creating a promissory note. This is a document you or a family member can make — no lawyer is needed — that outlines the repayment terms. No application or qualification requirements. Your interest rate may be very low or nonexistent. Owing money to a relative can create tension, especially if you have trouble repaying the loan. Any terms will have to be negotiated. Especially in times where someone needs to raise money for something that is important to them, friends and family have always wanted to rally together to help. If your loved ones are willing to contribute money toward financing your surgery, consider using a crowdfunding platform, which lets you collect donations of all sizes online. GoFundMe, GiveForward, YouCaring and Plumfund are popular options for medical crowdfunding. But don’t expect help from strangers. It’s a misconception that people you don’t know will find your campaign and donate — this doesn’t happen often, says Kelsea Little, media director at GoFundMe. A NerdWallet data analysis also found that only 11% of medical crowdfunding campaigns receive full funding. But if you share the campaign, especially on social channels, you’re more likely to succeed, Little says. “Especially in times where someone needs to raise money for something that is important to them, friends and family have always wanted to rally together to help,” Little says. She says that from 2014 to 2015, GoFundMe saw a 30% increase in campaigns with keywords related to transgender surgeries. Friends and family help you raise money without the obligation of repayment. There’s no application process. Some crowdfunding sites require that you meet your goal in order to receive funds, so read the rules closely. Fees can eat into your funds. Fees are subtracted from each donation. For example, GoFundMe and GiveForward charge a fee of 5% for each donation, plus 2.9% and 30 cents of each transaction for payment processing. Grants, funded via donations and other grants, are available to help transgender people afford surgery. Grants are a gift that you don’t have to repay, although they require a detailed application with lengthy documentation. One organization, the Jim Collins Foundation, offers some grants that pay 100% for surgeries and others that cover half of costs and require the recipient to provide funds to match the grant. Community Kinship Life also offers full and partial payment for gender confirmation surgeries. At both organizations, the number of grants awarded each year varies. “We understand we can’t provide grants for every trans person who needs surgery, but maybe we can provide grants for two or three who otherwise couldn’t get that money,” says Austin H. Johnson, digital communications manager for the Jim Collins Foundation. While grants aren’t usually someone’s first financing option, they can be ideal for people without the social network for crowdfunding or ability to access financing, he says. If selected, a grant can pay for some or all of surgeries. Only a few people each year are selected, and some grants don’t cover the entire surgery. You may have to wait months to find out if you’re selected. The application process is lengthy and typically requires you to have already selected a surgeon. There may also be restrictions, like having to receive surgery in a certain period of time after winning the grant. Most grants require a demonstration of financial need, a note from at least one doctor, a personal essay, personal references and sometimes demonstration of community involvement. We understand we can’t provide grants for every trans person who needs surgery, but maybe we can provide grants for two or three who otherwise couldn’t get that money. See if any local LGBTQ bars are willing to help you fundraise. Perhaps a portion of a night’s drink sales or cover charges can go toward your surgery fund, or maybe they’ll let you host a fundraising party there, or even solicit donations from patrons. Contact community organizations to see if they have ways to help you raise funds. Another idea: Create a marketable product to sell online. For example, Drew’s Tattoos sells transgender and other temporary tattoos on Etsy. It’s run by Erica Kasper, and the designs are created by her transgender teenage son Drew Adams. On the Etsy page, Kasper says that the business raises funds for a surgery for Adams. You need to sell a worthy product or get buy-in from a local business. Variable depending on method. For example, if you sell at Etsy, you’ll have to pay fees.